Okay, maybe it really isn’t completely growing on me but in my old age, “either I’m getting sensitive or else I’m getting soft”. Yes, that is Bob Dylan lyric I can’t help it. I’m crafting for Valentine’s Day. Eek. To be honest this simple Valentine’s Day idea would not be possible without the Target One Spot. I love dollar anythings. Dollar Tree, Target One Spot, Michael’s $1 bins - I love them all. When you pick up cute stuff at such ridiculous prices, you get in the spirit. At least that is what I’m telling myself. Seriously? 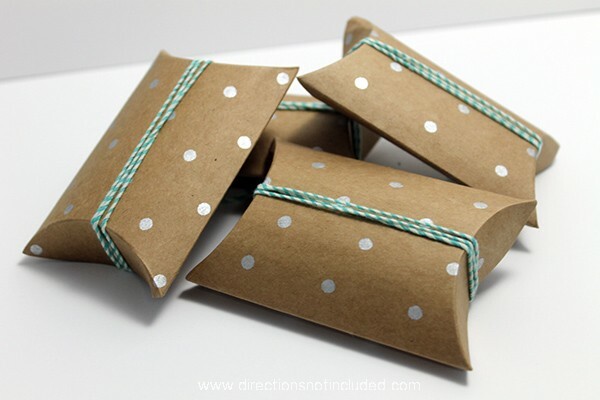 Can you beat $1 pillow boxes and twine? No, you just can’t. Throw in some Hershey Kisses and you are golden. Disclaimer: I took these Kisses from a coworker and friend (Hi Michelle!) who keeps them on her desk. I cannot be trusted will too many Kisses in my home. 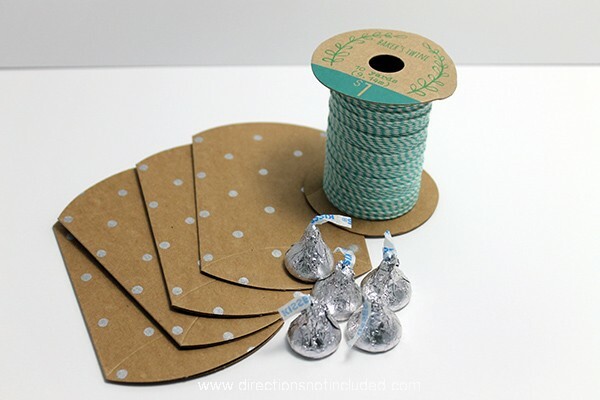 It doesn’t get much easier than Kisses inside the pillow boxes and some twine wrapped around them. If you are slacking according to Pinterest standards and are looking for a simple Valentine’s Day idea, this is your solution. 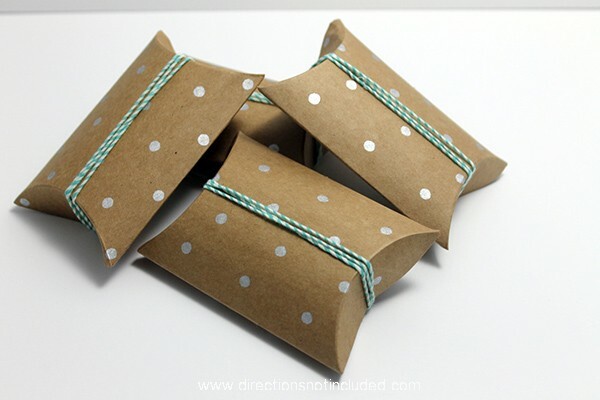 These pillow boxes favors are not limited toValentine’s Day either! They could be easily customized for showers and parties. Pillow boxes can be bought in bulk online, as well as made using your Silhouette Cameo. I honestly love any craft supply that can be customized a thousand ways. Not your classic pink and red Valentine but cute all the same! Are you scared that I’m decorating for Valentine’s Day? I am. I really am! PS – Target and Silhouette have no idea who I am. I just like their stuff. Hi, is the twine from Target or Michael’s? From the Target One Spot. I bought it a while ago though. Not sure if they have it anymore. Those are cute! Really sweet and simple.